As the use of cell phones becomes increasingly popular, so does the use of cell phone lanyards to keep them from being misplaced. The cell phone lanyard is also a great way to keep a cell phone readily available without having to physically carry it. The lanyards are typically made of cord, rope or wire. They can be connected to a backpack, belt loop or purse. To keep a cell phone easily accessible it may be most convenient to wear a cell phone lanyard around the neck, keeping the hands free. When worn around the neck, the typical cell phone lanyard, measures 36 inches long but can be custom designed to any length. 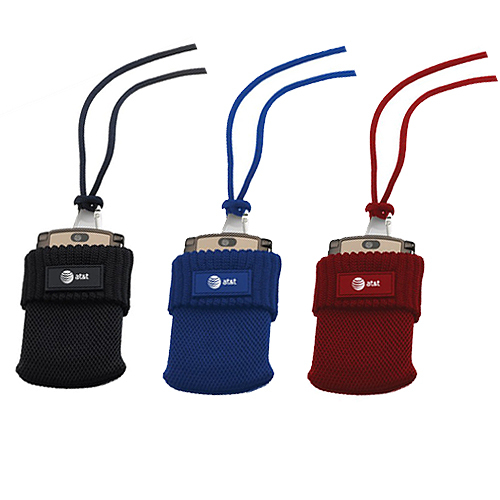 To secure the cell phone to the lanyard, simply pull the lanyard through the lanyard hole that can be found on most cell phones. Other cell phone lanyards have a nylon cord attached to the end that can be pulled through the lanyard hole. Although born of necessity, the cell phone lanyard does not have to be boring. There are many styles, colors and materials to choose from. Custom printing can display a favorite slogan, symbol or saying. Many talented artists will design you a unique beaded cell phone lanyard to coordinate with a favorite outfit, pair of shoes, as well as your automobile. Choice of beading includes gemstones, pewter beads, Swarovski crystals and even diamonds.